We were able to talk to a couple of independent experts to evaluate the top prospects on the U16 team and they helped us come up with this year’s ranking based on both our thoughts and their comments. So, without any further ado, let’s get AFTN’s Vancouver Whitecaps Residency Ones To Watch 2017 Edition underway with a look at the U16s, who finished the regular season as the eighth ranked team in the USSDA after clinching another Northwestern Division Championship. This past week saw them clinch their group at the academy playoffs in Indiana, securing their third quarter-final appearance in the last four years. 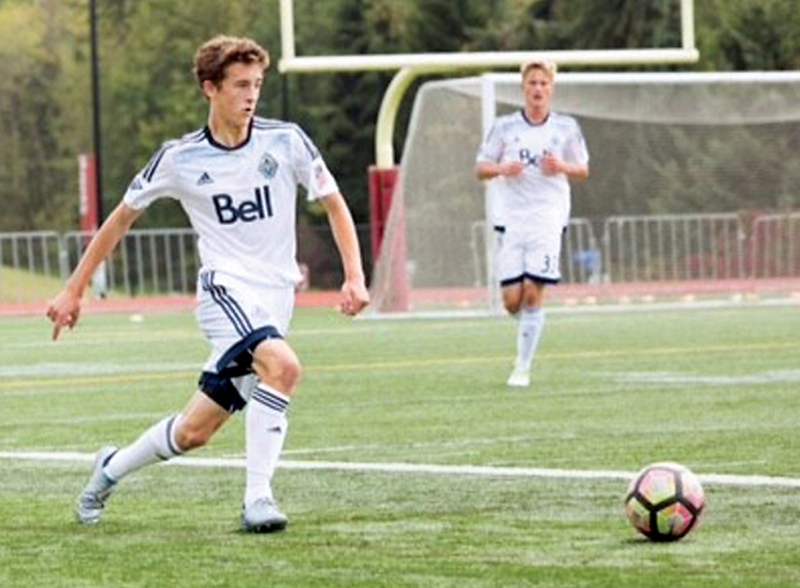 Background: Joining the ‘Caps from Coquitlam Metro-Ford Soccer Club, the striker/attacking midfielder has had an excellent season with the U16s. He has also represented Canada at the international level including at the U17 CONCACAF championship. Alessandro started all three matches in this year’s group stages of the USSDA playoffs, producing the sublime pass in for Keisean Brooks’ group-clinching goal. 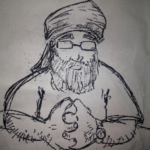 Strengths: Hojabrpour is considered a creative attacking midfielder who plays the game with elegance and has the passing ability to cut through defences. Opportunities: In order to continue his rise, he will need to fine tune his skills and improve his understanding of the game, getting even better at transitioning defensively. Projection: With the ability to play multiple positions Hojabrpour will need settle in on one as he moves on to the U18s. 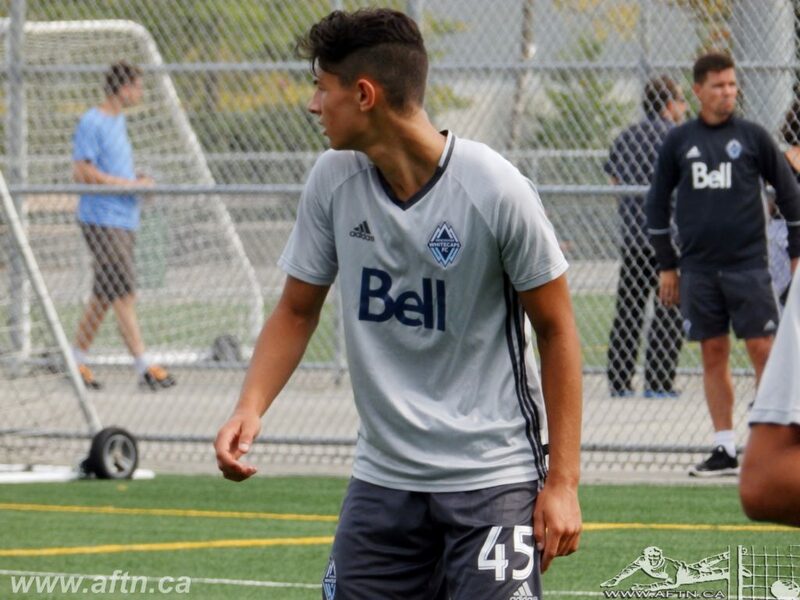 Background: Joining the Whitecaps Residency program in August of 2016, Hernandez quickly became the go to scorer for the U16s, leading the side in goals. He was another one of the U16s who has represented Canada, and featured at the U17 CONCACAF Championship in 2017. Hernandez started all three group games at the USSDA playoffs this past week, scoring four crucial goals to take his tally to 22 for the season so far. Strengths: Hernandez is a natural finisher who has the knack to get into the right spots in order to score goals. Critically, he is also able to create his own shots with his dribbling ability and uses his teammates well on the pitch. Opportunities: Like many young strikers, Hernandez will have to continue to work on his finishing and his ability to hold up the ball in order to become an all around striker. Projection: Hernandez was close to coming away with the top spot in our rankings. Moving forward, he will have to prove that he can keep up his scoring rate the U18 level. 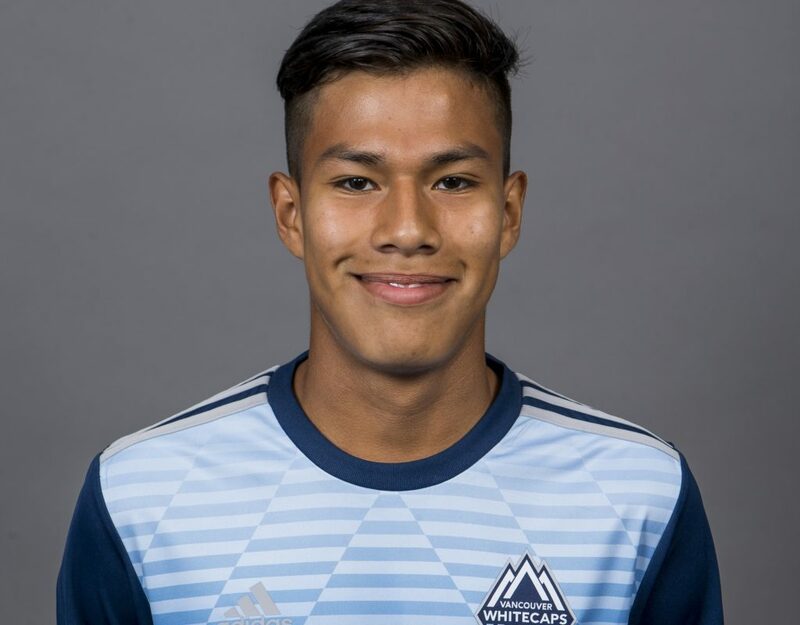 Background: Another attacking player from Alberta who joined the Whitecaps and is in his first year of the Residency program. Started all three playoff games so far this season. Strengths: Considered a natural number ten, Caceras is a creator who excels at passing and setting up his teammates. He reads the game at a high level and knows where to get the ball in order to create the best chance to score. Opportunities: In order to become an all around threat in the attack he will need to develop his ability to score himself. Like many midfielders his age, Caceras will have to continue to work on the defensive side of his game. Projection: Having graduated from the U16s Caceras looks set to be the main creator in the attack for U18 team next season. 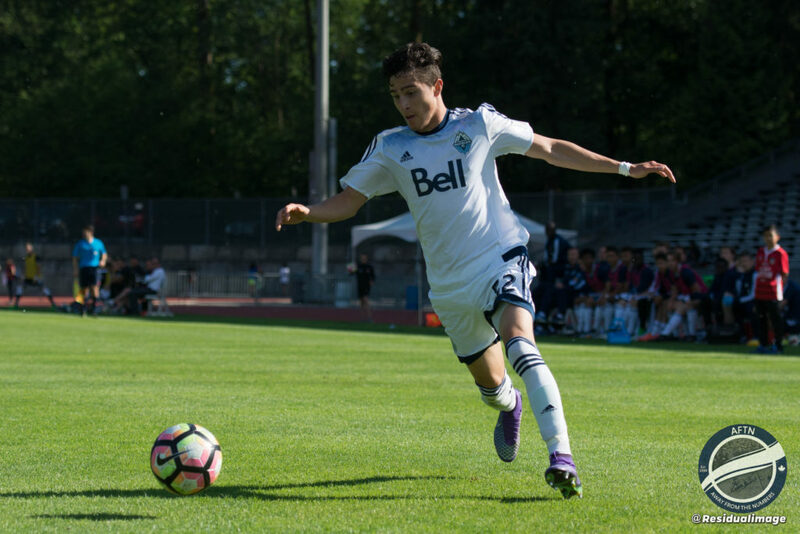 Background: The North Vancouver native joined the Whitecaps Residency program this season from Mountain United FC. 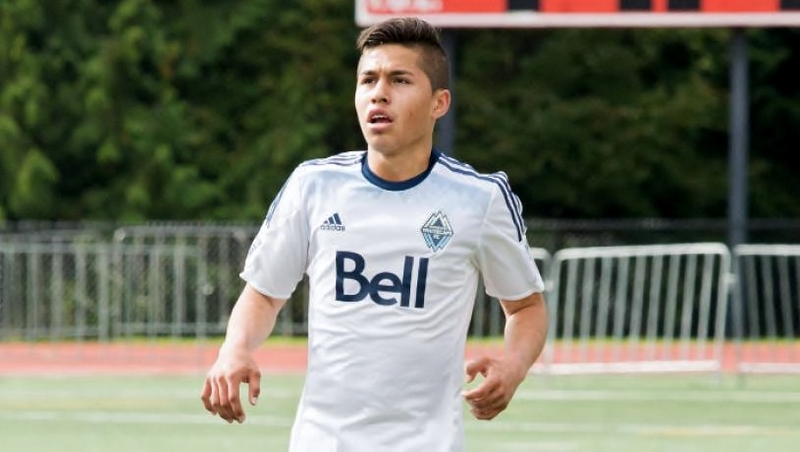 In addition to his debut with the ‘Caps in 2016, Ruby also made his first appearance with the Canadian national program this year, making the U17 CONCACAF Championship team and playing every minute of all three group games in Panama. Played in all three group games in the academy playoffs notching an assist. Strengths: Having played in other positions, Ruby has settled in at right back where he loves to move up the field in the attack. He is very solid on the defensive side of the ball and able to repel attackers in 1v1 situations. Opportunities: Especially when on the attack, Ruby will need to work on making the final pass connect as well as his crossing into the box. With experience and learning the game he will also get improve on the timing of when to attack and when to stay defensive. Projection: In his second year with the Residency Ruby will move up to the U18 team, where he’ll likely stake a claim to the starting right back spot with Nicolas Apostol heading off to college. The higher age level will test both Ruby’s strengths and the aspects of his game he needs to work on. Background: Another hometown player on the other side of the backline, Escobar has been in the Residency program for multiple seasons. While he was born in El Salvador, he moved here when he was six and has represented Canada a number of times since he was 14. Played a lot of the season with the U18s and was with that group at this year’s playoffs. Strengths: Just like Ruby, Escobar is an energetic left back who is able to run up and down the pitch for the full 90 minutes. He looks to attack the final third every chance he gets with his ability to take on defenders making him very dangerous. Has a very strong athletic presence. Opportunities: Like most full backs who like to attack, Escobar will need to get better on the defensive side. Similar to Ruby, he will need to work on the fine tuning of his passing and crossing when going forward, which will be needed to move onto the higher levels. Projection: Escobar will be joining Ruby on the left side of U18 backline and looking to build upon the experiences and success he had with the higher age group this year.